We can design your home from your dreams or we can customize any existing house plans to suit your specific needs. If you see an existing home you'de like to build, but may not have access to the inside, bring your photos and we can create an interior design for you. If you see a house brochure on the internet, in a magazine, or in a store, we can customize it to fit your needs. Builders and investors can take advantage of our experience in multi-family dwellings. We have designed many duplexes and townhouses. We are a one stop shop for builders planning to expand and construct "spec" homes. Designs, plans, and brochures will be necessary for your construction company to increase revenue. We have you covered! 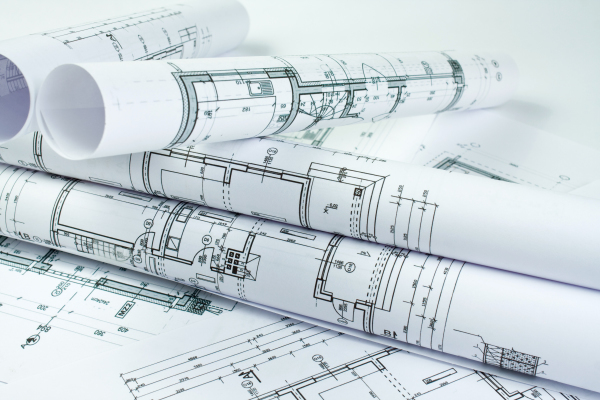 Contractors need plans when constructing buildings, requesting bids from sub-contractors, and calculating costs. You, as an average consumer, will have more control over a multiple contractor bidding process by supplying your own plans. Plans will be priced "on an even keel" because all the details will be specified on your plans... which all bids will be based upon your supplied plans. 3-D Renderings are necessary to visualize your project before it is built. Would you buy a car without seeing it? Then why would you build your dream home without seeing a picture of it first? A 3-D rendering is an exact animated drawing of the finished project. 3-D renderings are usefull tools for contractors to show off their spec homes for potential sales. A framed 3-D rendering of your home also makes a great piece of art to display on your wall!